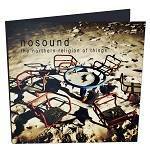 More information: The Northern Religion of Things was recorded during the rehearsal process for a special one-off 'Nosound solo' gig that Giancarlo Erra performed in London in August 2010. For this intimate gig, Giancarlo created new track arrangements along with a new live setup that allowed him to play keyboards and/or acoustic guitar while singing as well as using and recreating all the original sounds and effects from the original studio albums. No backing tracks were used, only loops/tapes and real live played instruments. The tracks were recorded straight from stereo outputs with no overdubs or edits involved resulting in unique and personal interpretations of the best tracks from the band's catalogue. CD in digipak with a 8 page booklet and sleeve notes by Giancarlo Erra.